The use of internet is increasing day by day and so is the traffic in a cyber café. This is why it has become mandatory to avail café management software. This software will enable a user to manage customer accounts, log in and out times, printers, billing and many other important functions necessary for the smooth running of the business. Some of the platforms also help the users by providing reports, logs and statistics for various purposes. 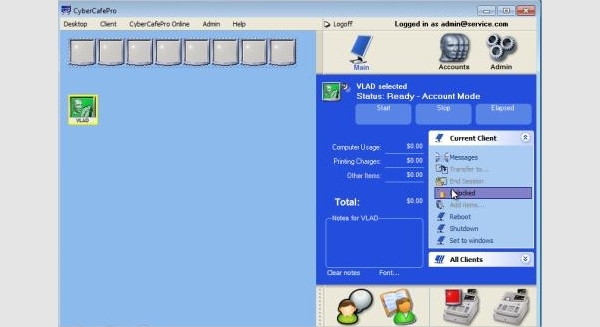 This cafe management software for windows 7 and other versions is capable to manage the terminals, gaming consoles, printers, customer accounts, program usage and many other aspects from a single computer. It also imparts high security and the facility to control a client remotely and provides the user with statistical reports of accounts and logs. This is one of the best cafe management software free for using in the cyber cafe to manage the resources. The light weight software is available in server, client and server + client versions. The software supports Windows XP and provides accounting, security, print management, blocking and tracking website, bandwidth monitoring and many other features. One of the most popular cyber cafe administration software, Cyber Cafe Pro has an easy setup wizard, multi-language support, anti-theft, time clock, permission, auto connection and other facilities. It also has point of sale, pricing and gaming consoles management features too. The controlling features as per different scenario make it a very popular choice for the cafe owners. There are many paid and unpaid options for the cyber cafe owners to control and manage their resources as per their choice of operating systems. The degree of usage depends on the features available with the package of the platform. Below is the suggested best software to manage as per the platforms used. TrueCafe is one of the best cyber cafe software freeware for Windows since 1999. The features are upgraded to the contemporary needs like managing and controlling desktops, laptops, smart phones and tablets in the cyber cafe, print monitoring, tickets, thin client management, license key generation and management and other required features for running a cafe business. 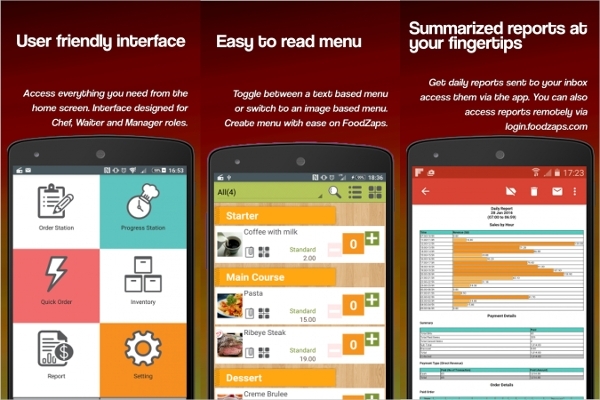 FoodZaps Restaurant POS Software is also a platform where an Android smart device user can stream line the online orders from customers. It is very efficient mobile application convenient for both the waiter and the cashier. It has no hidden cost and the file size is very convenient for a smart phone. MC3 Cyber Cafe Software is the best free software for MAC operators to monitor and control the cafe terminals. It can render almost all the aspects included in the cyber cafe like printing, Photostat, snacks, beverages, billing, etc and can monitor and manage the expenses too. This software is for a small cyber cafe and can manage only 4 PCs. Other than the above suggestions there are few other names that are dazzling in the market due to their latest features and credibility to manage cyber cafe resources. Managing software like CCAutoSoft cyber café manager, Antamedia Internet Café, Cafezee, Smart Launch, Tinasoft Easy Café, TrueCafe, CafeSuite, etc can be conveniently used to manage a café. This eminent cyber cafe management software free download full version is made open source for the cyber cafe owners to manage the resources like billing, member account management, multi-language support, timer, print tracking, application management, remote management, bad words screening, advertisement creations, etc and has an inbuilt firewall for protection. 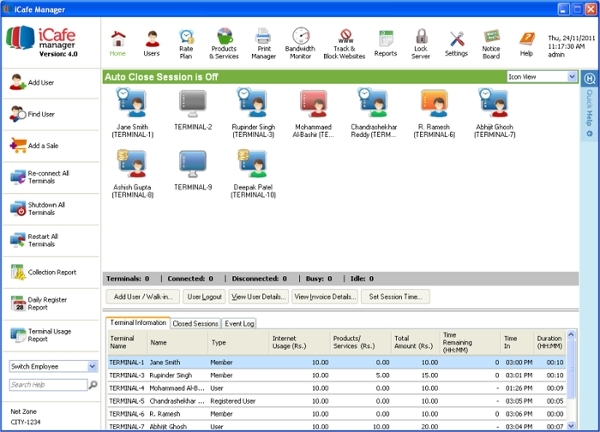 Handycafe is the most popular cafe management software that is used by cafe managers worldwide. The open source managing software is capable to control and manage client accounts, license generation, remote management, inbuilt firewall and other necessary features. This cafe management software free download is possible from the link provided below. What is Cafe Management Software? 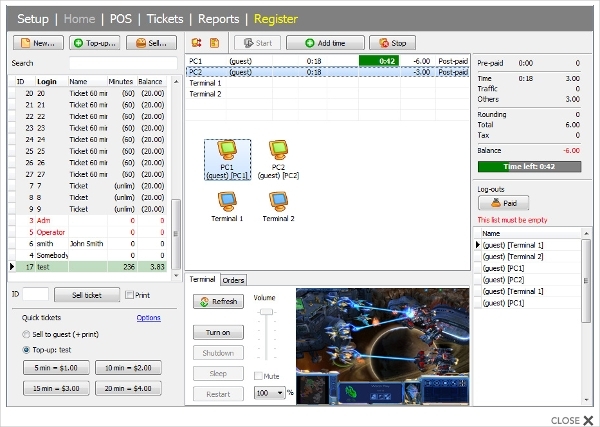 Cafe management software allows a user to control the terminal computers from a particular point and manage the resources properly. This platform has the following inherent features that make the business run efficiently. How to install Cafe Management Software? 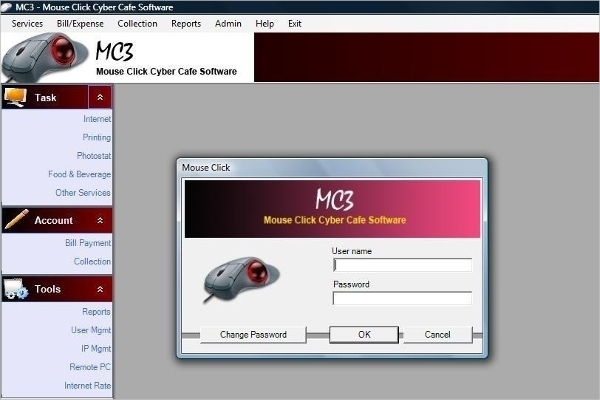 The installation file of the cyber cafe software freeware can be downloaded from the links. After clicking the installer file the installation wizard will guide the user to setup the software aptly step by step. After setting the destination the installation will be done. The time of installation varies from software to software. 1. One stop solution for controlling almost all the resources involved in a cyber cafe. 2. Point of sale system and generating reports are easier via this platform. 3. Customer account management is very easy. 9. Added firewall system is optional for robust security and protection from malwares and spywares.